Amatex Corporation is a Pennsylvania-based textile manufacturer that began in the 1950s as the American Asbestos Textile Corp. Like so many other textile manufacturers that focused on producing fireproof products before the 1980s, Amatex used asbestos extensively. Amatex Corporation has always specialized in products that can withstand extremely high temperatures, including cloth, rope, wick, gaskets and insulation. Its subsidiary, NOR*FAB, makes fire-resistant synthetic material used in protective clothing for hazardous vocations such as firefighting. Asbestos was valued because it was fireproof, cheap and could be easily added to other materials. Amatex began manufacturing asbestos cloth, yarn, lap, thread and cord in 1950. By 1962, the company was manufacturing asbestos wick, rope and tubing. The company stopped incorporating asbestos into its products in the late 1970s, but knew long before then it was hazardous. As a result, Amatex was one of the many manufacturers of the 20th century to face related litigation. By 1982, Amatex faced more than 9,000 claims from former employees and users of their products. This forced Amatex to file for Chapter 11 bankruptcy, and the court ordered it to create a Creditors’ Committee of Asbestos Litigants to handle current asbestos claims. Ernest Cleveland worked in a naval shipyard in the 1970s, using asbestos products from multiple manufacturers, including Amatex. Cleveland filed a lawsuit in July 1982. Two years prior to filing the case, he was diagnosed with asbestosis. Amatex settled with Cleveland before the case went to court. At trial, Cleveland received $1.5 million from Celotex, a company known for manufacturing insulation products containing asbestos. As part of Amatex’s reorganization from bankruptcy and effort to handle future claimants, the company established the Amatex Asbestos Disease Trust Fund. Garden City Group currently handles the trust, which has regional offices in 10 U.S. cities and an office in Canada. During its first 10 years, the fund is estimated to have paid more than $11 million in settlements. Amatex Corporation emerged from bankruptcy in 1990 and continues its operations today. Although it still manufactures and distributes heat-resistant materials, its products have been asbestos-free since the late 1970s. It was around this time when the Environmental Protection Agency (EPA) issued its first ban on asbestos in patching compounds and asbestos-manufacturing companies began to take notice. Exposed to Asbestos at Amatex Corporation? Gain access to trust funds, grants and other forms of compensation for you or your loved ones. Amatex used asbestos extensively in its heat-resistant products such as cloth and insulation. The company’s products were used in a variety of industries, including construction and the shipyard industry. Residential and commercial construction used asbestos significantly, and asbestos was one of the most popular materials found within shipyards. Amatex purchased a Meredith, New Hampshire, asbestos plant from the Keasbey and Mattison Company in 1962 and continued manufacturing asbestos products there through the 1970s. Matt Mauney is an award-winning journalist with more than a decade of professional writing and editing experience. He joined The Mesothelioma Center at Asbestos.com in 2016, and he spends much of his time reading, analyzing and reporting on mesothelioma research articles to ensure people in the mesothelioma community know the latest medical advances. Prior to joining Asbestos.com, Matt was a Community Manager at the Orlando Sentinel. Matt also edits pages, articles and other content on the website. He holds a certificate in health writing from the Centers for Disease Control and Prevention. RAND. (2010). Asbestos Bankruptcy Trusts: An Overview of Trust Structure and Activity with Detailed Reports on the Largest Trusts. The New York Times. (1980, May 18). Company News; Amatex Corp.
Justia.com. (1985). 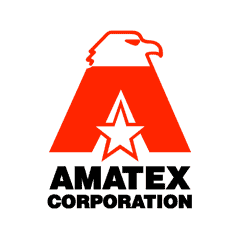 Amatex Corporation, Formerly Known as American Asbestos Textile Corporation. Supreme Court of Pennsylvania. (1997 March 18). Cleveland v. Johns Manville Corp.
New Hampshire Department of Environmental Services. Frequently Asked Questions. Crosby, H. James. What Every New Lawyer Needs to Know and Have to Work in Asbestos Litigation  Training and Orienting Asbestos Personal Injury Litigators. GCG. (n.d.). Amatex Asbestos Trust. United States Bankruptcy Court For The Eastern District of Pennsylvania. (n.d.). Notice To Persons Who May Have An Asbestosis Disease Claim Against Amatex Corporation. United States Bankruptcy Court, E.D. Pennsylvania. (1990, January 29). In Re Amatex Corp., 110 B.R. 168 (Bankr. E.D. Pa. 1990).